During the seventh round of negotiations between Serbia and Kosovo in Brussels a few weeks ago, the mediator in the talks, Catherine Ashton, who on the same day was celebrating her birthday, received two thematic presents - from Kosovo's Prime Minster Hashim Thaci she got a scarf and from his Serbian counterpart Ivica Dacic she got a necklace. On the very next day Serbian media commented that probably Baroness Ashton would much more enjoy an agreement between the two countries in the negotiations, but after the extraordinary meeting of the government in Belgrade on April 8th it is clear that there will be no such present. 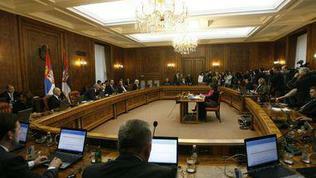 After a number of guesses, comments and suppositions, in the end of the day Dacic formally announced, after the end of the meeting of the ministers of the cabinet, that the Serbian government would not accept the solution on Kosovo as proposed by Brussels because it did not guarantee the security of the Serbian population in the former province and would be impossible to apply. He, however, claimed a desire the dialogue between Pristina and Belgrade to continue with the facilitation of the European Union. 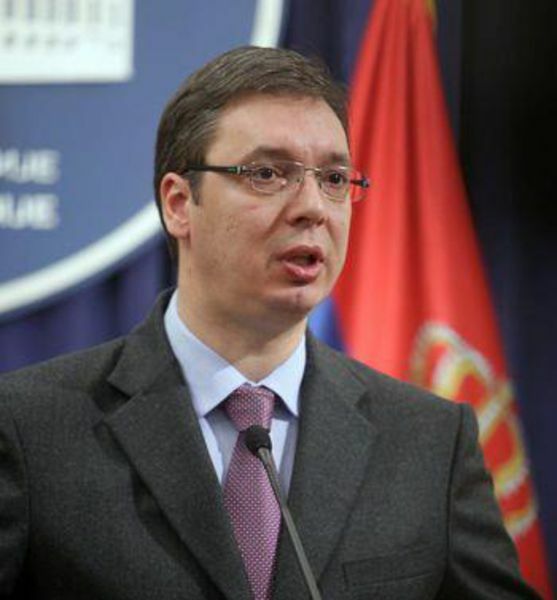 What comes next is the decision by the cabinet in Belgrade to be formally reported in Brussels and this means only one thing: the Serbia's expectations and hopes to get a date to start accession negotiations this summer are probably officially burned because it was the reaching of a compromise with Kosovo that was the main condition of the member states for beginning of accession talks. 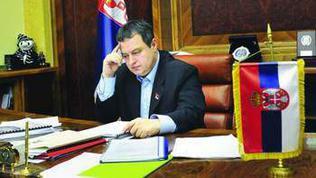 Premier Ivica Dacic gave a clear signal what can be expected a day before the extraordinary cabinet meeting saying in an interview for the Belgrade daily Politika that "what is proposed cannot pass" and that "even if the agreement is to be signed it cannot be implemented", which is why the Serbian side will try to secure a better version of the agreement. "The problem is that we have no official text to decide upon, but only a proposal which we received and which is unacceptable for us. Now we are seeking ways this proposal to be changed. It is in our utmost interest to reach an agreement because we want peace and security in Kosovo, most of all for the Serbs, we want a long-term solution to be found that would allow an exit from the situation of weightlessness we are all in when it comes to Kosovo because this topic is like the song: 'Wherever I go I always come back to you [Kosovo]'. This means that whichever topic you raise everyone brings you back to the Kosovo issue", Dacic explains in the same interview. 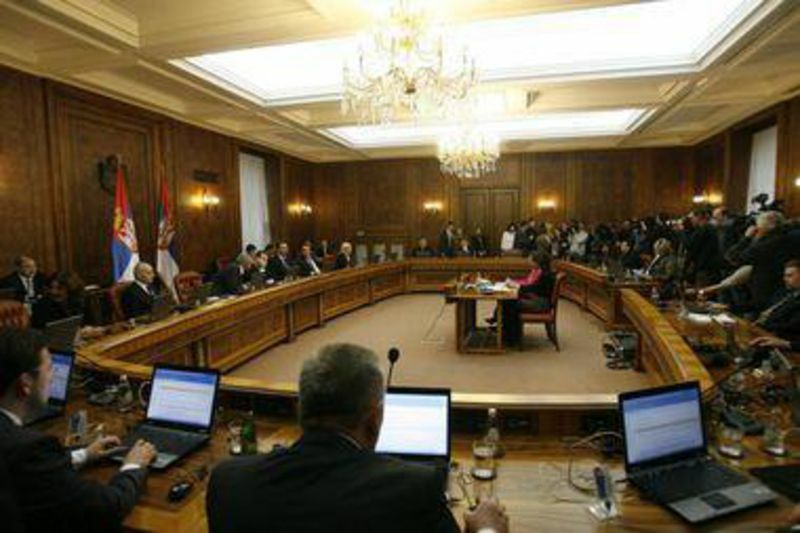 There it also pointed out what the proposal contains: to create a community of Serbian municipalities based on the Kosovo laws and the European directives for local self governance and that it will not be burdened with additional functions by Pristina, and which in the future will be allowed to cover the southern part of Kosovska Mitrovica which, according to Belgrade, gives the Albanians an advantage and in this sense the proposal is unacceptable. "We support an agreement, but in order for us to accept this agreement we have to have the basic things related to police, justice and the absence of Kosovo security forces", Mr Dacic added. He himself is expected to inform Catherine Ashton and to ask her the negotiations between Pristina and Belgrade to continue. In the words of her spokesperson Maja Kocijanic, on the basis of the official response from Belgrade it will become clear how will this process move on. The expectations of the Serbian authorities are the negotiations with Pristina to continue in the same format - with the EU facilitation. "There is no ultimatum, Judgement day or a World War I scenario. All these hysterical comments must be put aside", Vincent Degert, the head of the EU delegation in Belgrade was quoted saying by Al Jazeera Balkans. In a special and unusually long statement, Baroness Ashton recalls the huge efforts the two sides have invested to come to specific proposals regarding North Kosovo. She also recalls that it was about reaching an agreement by the two sides, not to be imposed by the EU. Catherine Ashton expresses regret with the Serbian government's decision and calls on them to make a last effort for a deal. "I believe in a bright future for Serbia and Kosovo and I know that, however difficult the process has been, it unlocked the potential for people – especially in northern Kosovo – to have a better life", the baroness adds. A continuation of the dialogue between Kosovo and Serbia in the name of the stability in the region is the solution also according to Miroslav Lajcak, Slovakia's foreign minster and an expert on the region. In a commentary with the EurActiv he writes that the barricade between Ivica Dacic and Hashim Thaci on the path of an honest and long-term solution to the problem is down and the dialogue must continue because the two sides have invested a lot in it and the only alternative is the compromise. "Without exaggeration, the European future of the Western Balkans literally hangs on the thread of whether or not reason prevails", Lajcak writes and adds: "Therefore let me stress what I believe in: There is a cure for every problem, a patch for every hole, a bridge for every gap. The current situation in which Northern Kosovo is in essence a no-man's land with undefined rules of the game cannot and must not be allowed to continue and any chance for ​improvement is worth trying for. ​I strongly disagree with the idea that the talks have failed. They have not. True, their shape will change. But their continuation is a must. It’s not over yet". 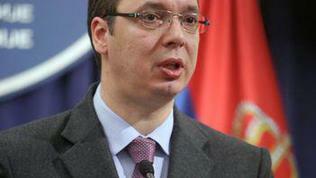 This obviously is not the end, but except the stability of the Western Balkans, now questioned is the political stability in Serbia itself - the eight rounds of negotiations to a large extent have sharpened the relations between Premier Dacic and Deputy Prime Minister Alexander Vucic (representatives of the majority in Parliament), which is why a year after the parliamentary and extraordinary presidential elections, Serbia could face a new parliamentary election.